A group of media folk will coalesce over New York City this weekend, landing in borrowed Manhattan offices for an intense, caffeine-fueled 48-hour session. For a full day, they’ll reach into the bottomless magician’s top hat that is the internet and tease forth original articles, stories, photographs, visualizations and videos from creative people around the world. After a frenzied period of sorting, editing, designing and coding, they will birth a magazine. And you can take part. 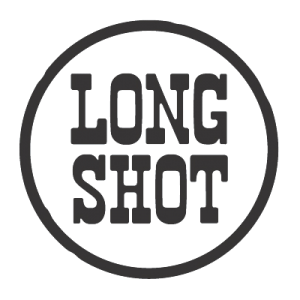 It’s the third go-round for Longshot Magazine (née 48 Hour Magazine), which launched in 2010 as the brainchild of Sarah Rich, Mat Honan and Alexis Madrigal. If you follow these folks at all, or read their writing, you’ll recognize them as some of the brightest minds – and coolest personas – of the online community. It’s no wonder they garner over a thousand submissions for each call, even though contributors only have 24 hours to produce once the issue’s theme is announced. It’s not an easy gig to score, with many nationally known contributors vying for a page, and when you look at the ratio of published vs. total submissions (last time it was near 50/1000), it’s hard not to appreciate the magazine’s new title. Formulating a good piece takes time, and the effort can feel futile and frustrating if it doesn’t emerge triumphant through the narrow selection process. But, that’s not at all the case if – as David Lang poignantly points out – the process is the best part. Groups of like-minded, smart people, working as teams, in conjunction with worldwide social networks, in real time, around a common theme? Sounds like an exercise society should be praticing as early and often as possible. Added incentive to contend for placement: this time, Longshot set up a (very successful) Kickstarter campaign, and will actually be paying contributors. They’ve also just put out the carrot of a $2,000 windfall (“That’s rent money!”) for the author of a longform cover story – enough to get anyone’s mental motor revving. We want to meet the other people here who are inspired by this project, so we’re setting up a Longshot satellite office this weekend at Independents Hall, thanks to the generosity of the patron saint of coworking, Alex Hillman. While we won’t be riding on a sleep-deprived high like the good peeps in New York (though Gawker’s offices are probably riddled with champagne-spewing Jacuzzis, who are we kidding), we will be holding down a corner of IndyHall at the time of the theme announcement on 3 PM (EDT) Friday (and will be there until around 6 or 7 PM), and will be around again all day on Saturday, from 9 AM to 6 PM or later. We may or may not get our works published, but we will have fun doing it. If you’re reading this, and you want to submit or get involved, you’re already ahead. Hit me up on G+ or email me to get in the loop (I see G+ as key; we can take advantage of the real-time communication tools to make this into a whole new kind of collab). 2/ The Moodbook has clues about what this year’s theme will be, give it a spin.